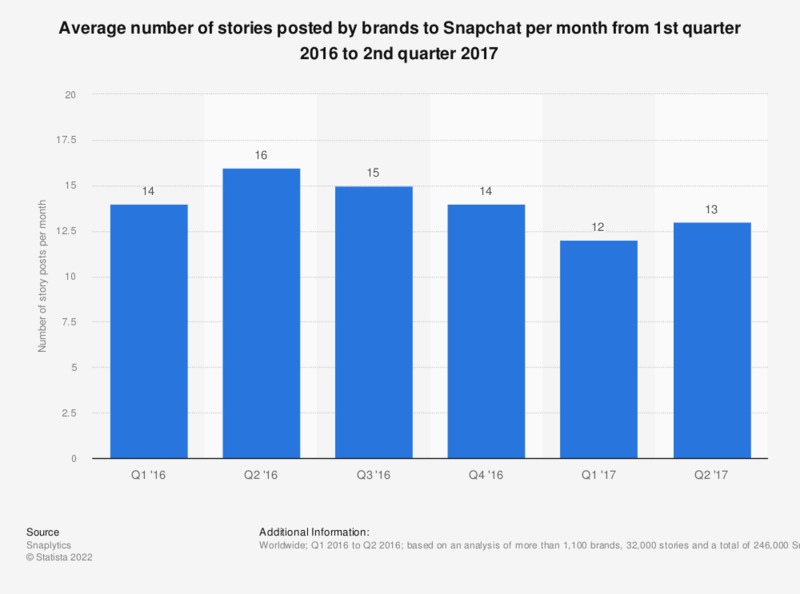 This statistic presents the average number of monthly story posts by brands on Snapchat as of the second quarter of 2017. As of the last measured period, brands posted an average of 13 story posts to the social network every month. What other tools do you use from your hosting provider?